Surprisingly inexpensive at around $30, the Estwing Camper’s Axe is a crucial asset for any would-be outdoorsman or woman. As I was making quick work chopping through a 3” branch of desert willow in my front yard, I truly fathomed the quality of the Estwing Camper’s Axe I received to review. The desert willow is known for its firmness, as it is normally a tough job even for a regular axe. However, the 14” Camper’s Axe, forged in a single piece of steel and razor-sharp, was able to withstand the convincing challenge. From the moment I picked up this American made product from Estwing, I felt the balance of its swing, giving surprising control and strength. The patented shock reduction grip is an important feature of the Camper’s Axe, as even a short duration of chopping can leave your hands ringing. 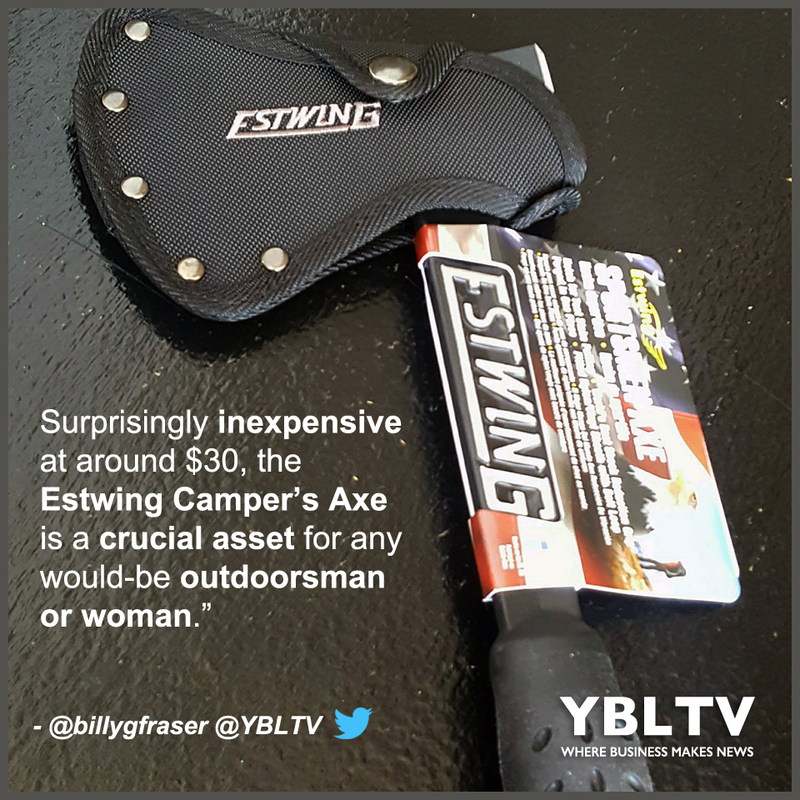 YBLTV Product Review by William Fraser: Estwing Black Camper’s Axe. The Camper’s Axe does come with a durable, nylon sheath, but it can be a pain to remove, especially if you need your axe ready in a moment’s notice. However, the sheath provides important safety and can be trusted around children. The hammer side of the axe is small and square, making it difficult if you had to hit a small target like a nail, but it is more than capable for driving stakes, its intended purpose. Surprisingly inexpensive at around $30 through Amazon, the Estwing Camper’s Axe is a crucial asset for any would-be outdoorsman or woman. Disclosure of Material Connection: YBLTV Writer / Reviewer, William Fraser received the Estwing Black Camper Axe for free from Estwing in consideration for a Product Review. 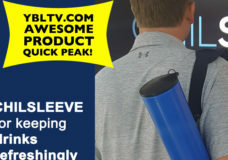 CHILSLEEVE Quick Peek: Keep Your Beer COLD!